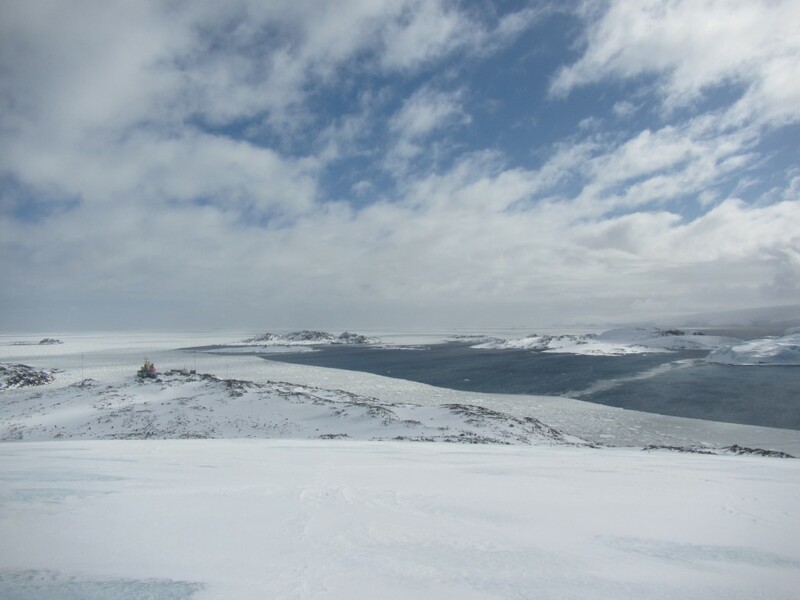 A quick word from Palmer Station, with more to come: Science is (almost) rolling again down here on the ice. After a flurry of true 11th-hour political maneuvering in Washington last night — and, of course, two weeks of anguish, frustration, and uncertainty — the station manager informed deployed scientists and support staff here this morning that we were “re-starting” operations. (It’s worth noting here, for readers interested in following along for the rest of the season, that “Palmer time” is currently GMT -3; that is, one hour ahead of the U.S. East Coast and 3 hours behind Greenwich Mean Time.) The National Science Foundation’s official directive to re-start operations is on the Web here. The “inbound personnel” who have been living aboard the Laurence M. Gould for the past nine days spent the morning in various meetings and laboratory safety orientations. The sense of relief on station is palpable — members of the various science teams are excited to set up their laboratories and begin the meticulous business of sampling and data collection, while newly-arrived support personnel are eager to begin the long list of projects that lies ahead of them this summer. This afternoon, we will move into our new rooms — in one of two dormitories here on station — and take our first official meals as Palmer residents. While the future now looms a hundred times brighter on the horizon, the mounting uncertainty wrought over the past 16 days by failure of our political system has left everyone exhausted. The weather, it seems, will give us a chance to catch our breath and gather our thoughts: After some “warm” weather last week, the sea surrounding Palmer has frozen fast. Temperatures since our arrival on Oct. 8 had remained largely at 3-4°C, enough to melt some of the accumulated winter sea ice and turn the station’s “front yard” to slush. On Tuesday, however, a passing front brought 50 knots winds and temperatures that plummeted to -12°C. Since we conduct most of our sampling in inflatable small boats, this means we won’t be on the water anytime soon. Unlike gridlock in Washington, weather is an obstacle the LTER team faces every year down here on the Peninsula. It seems, then, that those of us already deployed to the ice are incredibly fortunate: After some twists and turns, the government shutdown won’t end up costing us all that much of our field season. No one is quite certain, however, what will happen to those scientists not-yet-deployed — men and women whose research was delayed or suspended irreversibly as a result of the events in Washington. And there’s no official word on what will happen after January 15th, when the spending agreement reached last night expires. In the meantime, I am cautiously optimistic. A hike up the glacier in back of the station on Sunday yielded some spectacular views of the sea and islands that lie to the west. Drifting sea ice is visible in the foreground, blown toward the station by brisk west winds. The intervening days have afforded some small opportunities for recreation in and around the station. A hike up the glacier in back of the station (using snowshoes with instep crampons) yielded some spectacular views of the sea that surrounds the base here. And with some winter snow still left atop the glacier ice, I also decided to accompany Greg, a scientist from the Scripps Institution of Oceanography, on a brief ski and snowboard tour of Palmer’s two modest ski slopes. (The two slopes are just tongues of the ice piedmont that reach down to the sea on opposite sides of the station.) 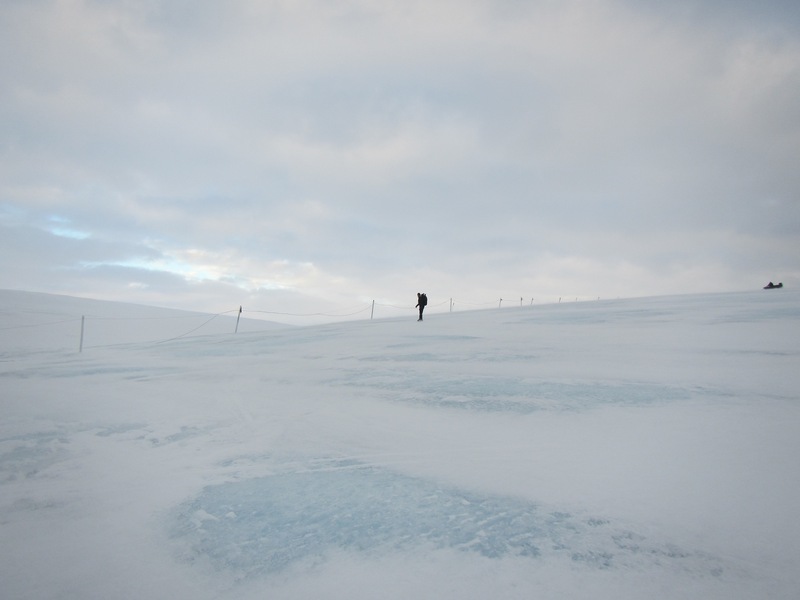 Greg, who is here to study cloud-nucleating aerosols in the atmosphere above the station, schlepped it up the glacier on snowshoes and carried his snowboard. 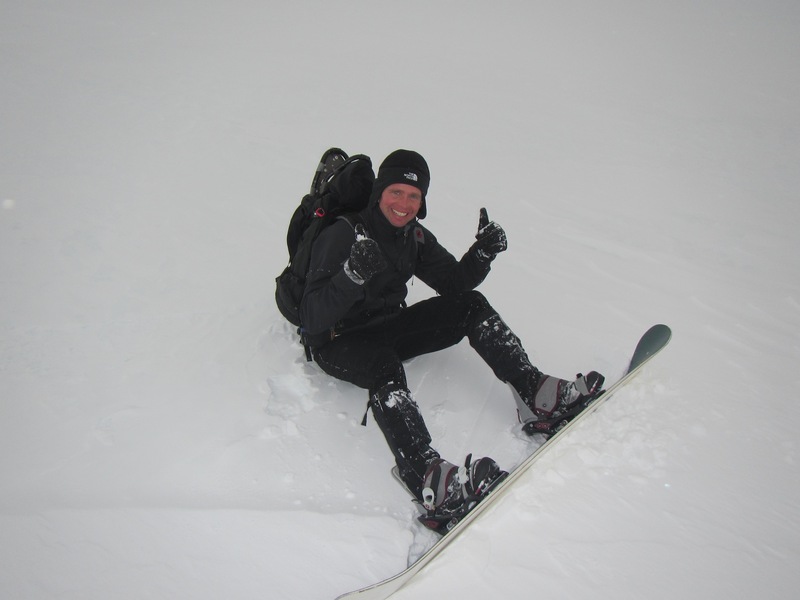 I skinned up on A/T gear I borrowed from the station’s recreation locker and then made the descent on skis. We each got only 30 or 40 turns in, but it was well worth it. Greg, a scientist from the Scripps Institution of Oceanography, makes a careful descent toward Bonaparte Point. I’ll write more as we turn to science and regular life here on station. Before I sign off, however, I want to share some sincere gratitude: The support I and other members of the science teams here have received over the past two weeks has been overwhelming. Via this blog, by email, and on Facebook, from friends and from members of the public, we’ve received an outpouring of encouragement and empathy from warmer lands to the north; thank you.